Creating environments to meet your needs and suit your lifestyle. Entryways and foyers are designed to make guests feel welcome while also capturing the essence of a home. See how hardwood flooring in these spaces can set the stage and leave a strong first impression. Foyer and living room in Cotswald-designed home by Wiley Designs, LLC. Whites, soft greys and warm woods have dominated the kitchen style arena lately. But there are those who want to amp up the colour in their kitchens. While some wade in with soft blues, others want to make dinner surrounded by hues like a sunny yellow or an electrifying cobalt. 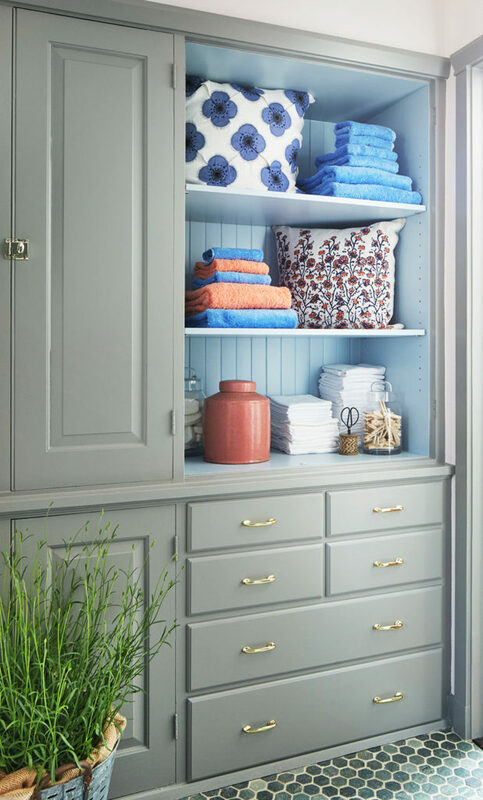 If you’re considering a cabinet makeover, check out these bold and beautiful paint options. Though blue is generally considered to be calming, this glossy cobalt is energising. There are a handful of different finishes and materials in here, including the stainless steel and wood countertops, brass hardware and black metal on the windows and light fixtures that all play off the bold cabinet colour beautifully. From bathrooms to kitchens, mini tiles are an easy way to infuse a bit of charm and personality into a space. Browse 24 stylish rooms featuring mini tiles and consider embracing this unique look in your next design project. 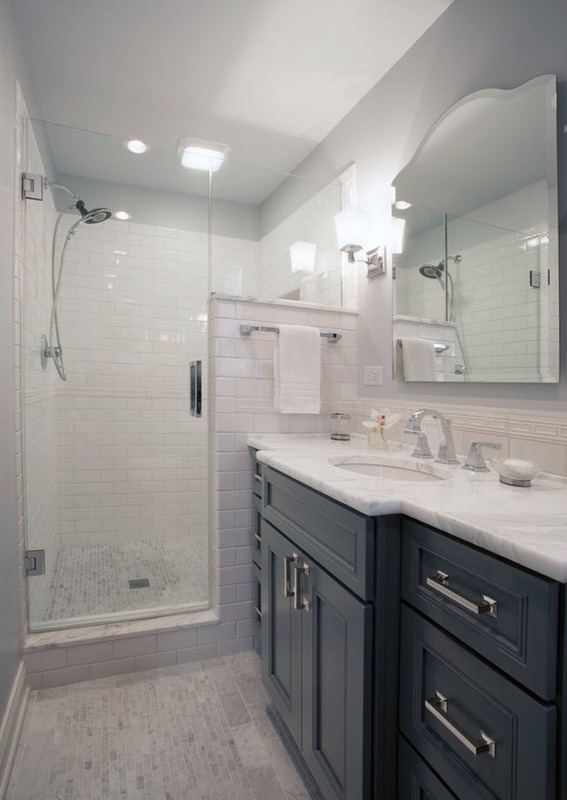 Guest bath completely renovated with custom cabinetry, marble and ceramic tile by Wiley Designs, LLC. We caught up with three of Chicago’s top female designers to get their take on what makes a perfect room — from color and texture to art and accessories. own aesthetic. “A lot of people are unsure how to articulate what they want,” she says. Ultimately, says Boyd, it’s all about surrounding clients with the things that are meaningful to them to make them feel connected to their environment. One of Boyd’s most notable projects came in 2009, when she invested in a 100-plus-year-old house on Fullerton Avenue. “We gutted the house and completely redesigned the interior,” she says. and had no idea she was involved in the renovation. “It was a fun piece of synchronicity,” she says. 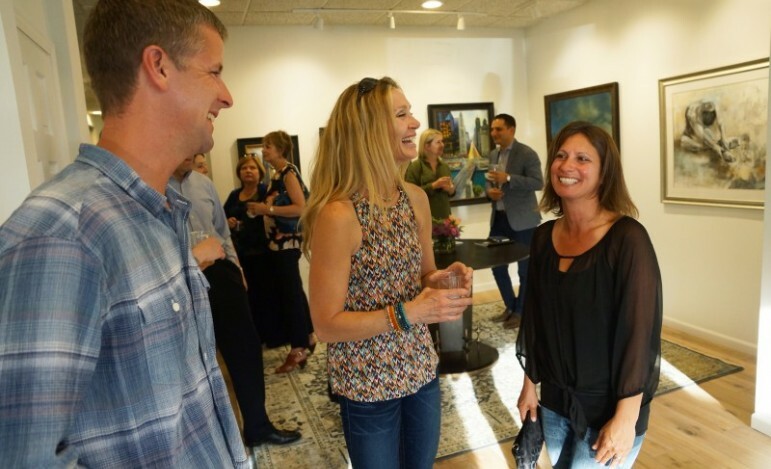 Gallery A+D in downtown Highwood unites the worlds of art and interiors by highlighting the work of acclaimed artisan furniture designers, artists, and retailers in the format of a contemporary gallery. 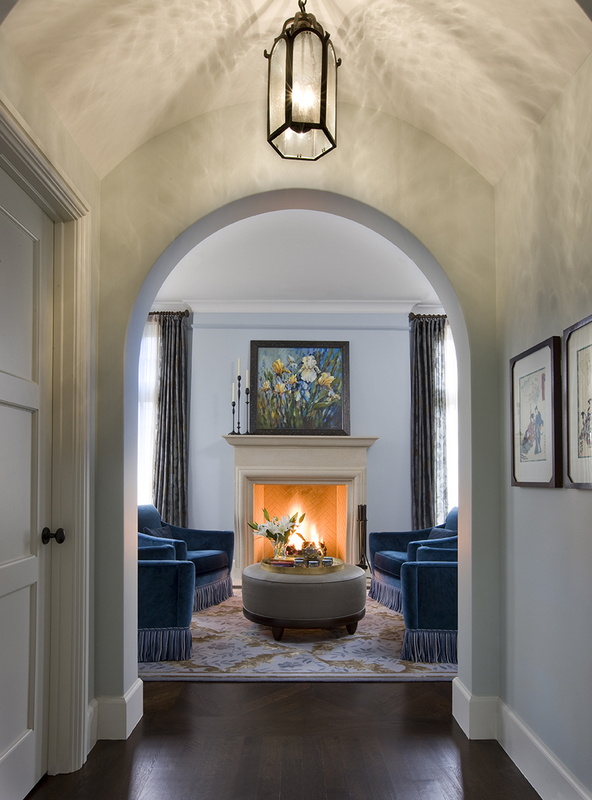 ABOVE: Wiley Designs, LLC recommends breaking from traditional rules and layering patterns and colors to add depth and detail to a room like their design shown here. Chicago designer Summer Thornton’s motto is, “No amazing room was ever created without taking a risk.” We couldn’t agree more. While we don’t advocate rebelling without a cause—after all, some guidelines can be helpful when you don’t have the benefit of an interior designer at your disposal—a little selective rule breaking can yield stunning results. Here, Thornton and six other intrepid designers tell us which rules were made to be broken, and how to do it with style. How to break it: If you’ve got gorgeous floors, don’t be afraid to let them shine! Designer Michael Del Piero says bare wooden floors can ground the other design elements in a room. She especially loves highlighting standout flooring like wide planks, hand-scraped walnut or natural limestone. The result is elegant, spare and surprisingly dramatic. It might be scary to spring for that pink mohair sofa, but audacity pays off in myriad ways. Choosing a vibrant color for your main piece of furniture will actually limit your options when it comes to designing the room—which can be a good thing if you find yourself paralyzed by indecision. Plus a bold piece will give your room presence. How to break it: Lake Forest designer Lisa Wolfe says to start by figuring out what function a table needs to serve in your room. Some rooms need a place to display books and objects, while some just need a perch for cocktails. How to break it: Leather is a practical material and lends depth and character to any environment, but a suite of leather furniture can give off a cheesy bachelor-pad vibe. The trick to avoiding this look is to mix leather pieces to keep it interesting, according to Chicago design team Cari Giannoulias and Melissa Lewis. Skip the matching altogether, and instead pair sleek modern leather with something vintage and patinaed. “By incorporating two different feels, the leathers complement each other instead of fighting for the viewer’s attention,” Lewis says. How to break it: When employed strategically, richly layered patterns can be symphonic and utterly luxurious in a small space. Beth Boyd of Highland Park’s Wiley Designs explains, “Blending different patterns together successfully…is largely about changing up the scale of the patterns as well as changing the patterns themselves.” She suggests mixing stripes with florals and geometric patterns in a variety of sizes. How to break it: For many of us, this is not a just a design rule, but an unquestionable truth. Yet, there’s more than one way to sit and chat! Chicago designer Kim Scodro says a large sofa can weigh down a room. A grouping of chairs, on the other hand, creates an intimate atmosphere without forcing guests to sit in an awkward lineup, and affords you greater variety in your materials. “…By using two sets of chairs, [you are] able to introduce different fabric and wood tones that a large sofa would not allow,” Scodro says. 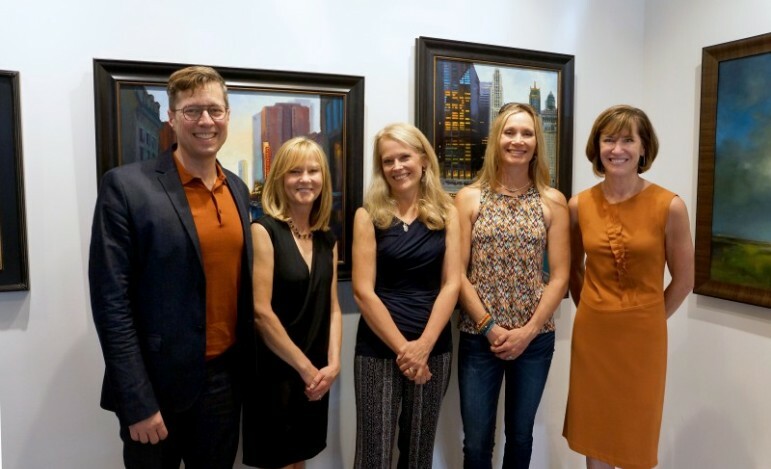 Thirty interior and landscape designers reimagined the 1929 mansion owned by late “Home Alone” filmmaker John Hughes for the biennial Lake Forest Showhouse and Gardens, which benefits Northwestern Lake Forest Hospital and the Infant Welfare Society of Chicago. Designed by Chicago architect Edwin Hill Clark, the 21-room, 2-acre property served as home and office for Hughes until his death in 2009. Designers played with the home’s Tudor pedigree and Hughes’ place (“Ferris Bueller’s Day Off” and others) in Hollywood. The showhouse is open through May 17. Looking for the newest design trends, Crain’s got a preview last week. Whimsy A bust of of a cow’s head in white plaster is in the black-and-white study by Sweet Peas Design in Libertyville. An oversized, live, green Dr. Seuss-worthy chandelier centers a garden room by Michael del Piero Good Design in Chicago. A 300-pound loose shag rug, in bright white, anchors a teen retreat by Winnetka’s Courage & Co. Bright lights We saw oversized, unique and exquisite pendants everywhere: A wrought-iron chandelier outlined in crystal beads centers the dining room. In the family dining area, a chandelier by Serip Organic Lighting is a waterfall of hand-blown glass. A slender coat room, by Midnight Sun in Mundelein, holds a 36-inch light dome designed by Marcel Wanders, with a bronze finish and white ceramic interior cast with a cascade of flowers. ’70s redux Far out! Influences from that bygone decade include a plaid-covered indoor swing in the teen retreat, a round-cornered gold-sheen Parson’s table in the entry and a white shearling-topped lucite bench in the garden room. More shag, Lucite, fuschia and layered prints complete a teen girl’s bedroom by Jeannie Balsam in Winnetka. Animal instincts As in prints, furs, hides, horns on chairs, walls, tables, pillows. An upper hall becomes a handsome work space, with a leather-wrapped desk and a copper leather tub chair, by Loren Reid Seaman in Arlington Heights. Pink leather seats and shearling backs on hand-carved side chairs are in the master bedroom, a study in pale glamor by Kim Scodro Interiors in Chicago. In an unexpectedly light and airy man cave, Chicago designer Mikel Welch set throw pillows, woven in dark leather, on pale linen sofas. “I wanted a room women would be comfortable in, too,” Welch says. Shine Riffing on the home’s original dark wood, Lake Forest designer Shelley Johnstone Paschke used a high-gloss chocolate-brown paint for an entry ceiling. Walls in a guest bedroom shimmer from a silver and beige foil grasscloth, a touch of Hollywood glamor by Lawrence Boeder Interior Design in Chicago. 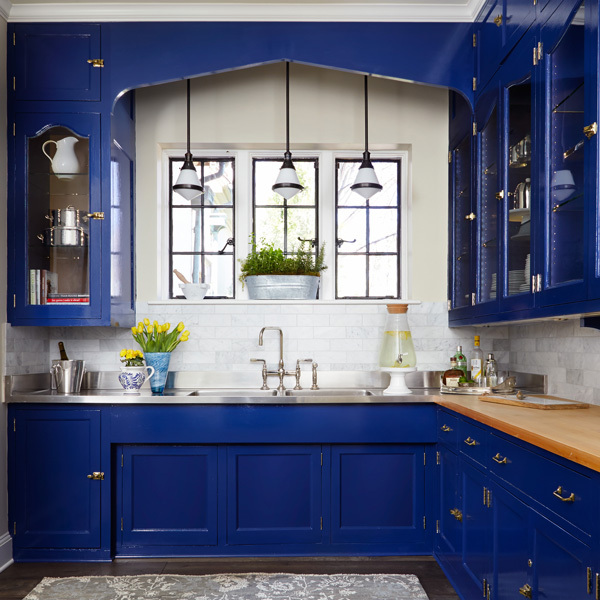 Original pantry cabinetry was repurposed with a deep sheen by Wiley Designs in Highland Park, using Farrow & Ball’s Drawing Room Blue. Color Speaking of blue, we found it in every shade, from the sky-blue entry hall to the dining room’s cobalt-blue cowhide rug to the black-blue fringed linen wallpaper in the men’s reprieve, outfitted by Highland Park’s Randy Heller of Pure & Simple Interior Design. “I tried to be respectful of the home,” Heller says. “It’s a 1929 Tudor, but it doesn’t feel 1929.” Known for her reds, Alessandra Branca used coral for pop in a living room of white, chocolate brown and gray. In a jewel-like family dining room by Lori Lennon & Associates in Lake Forest, taupe silk drapes are embroidered with orange-red lilies. Texture Sisal remains big: blonde in the entry and bordered in velvet up its stairs, chocolate brown fastened with rivets on a back stairway, the floor of a mod dressing room for a girl. “It’s fresh and young,” designer Paschke says. In the garden room, batik-patterned raised plaster walls. In a Christopher Peacock kitchen, unfinished ash cabinetry is in the mix of smooth taupes and white, and reclaimed oak floors are left weathered. Outside In In the great room by Scott Arthur Yerkey Design in Palm Desert, Calif., the wallpaper features a forest of outlined trees, the ceiling features wallpaper with bumblebees, pillows and chairs are mutely colored by woodland birds. In an enchanting dining room by Soledad Zitzewitz Interiors in Lake Bluff, the walls are papered with a hand-printed mural of London’s Kew Gardens from the 1920s. 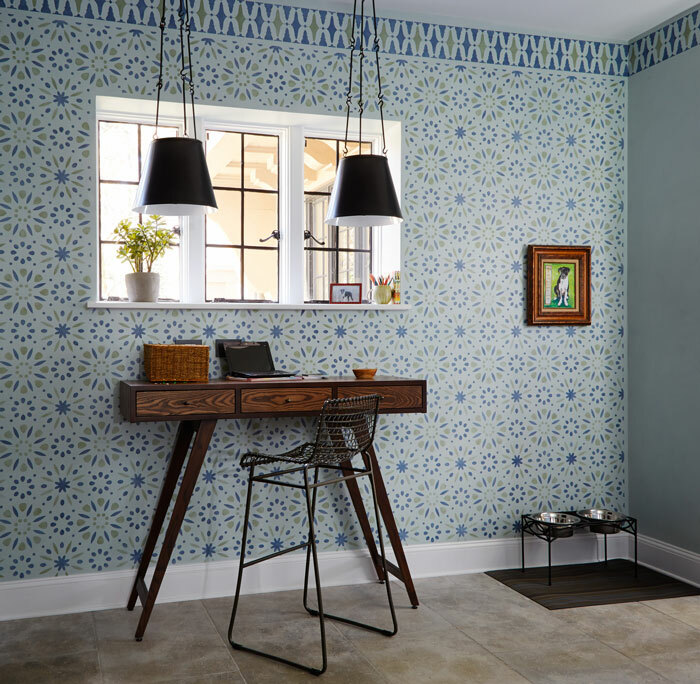 Cole & Sons wallpaper features monkeys at play in an ancient coliseum, which wraps a back hall and stairs by Sarah Whit. Gone are the days when a couch and blanket would suffice for your houseguests. Give them the comfort and amenities they deserve. 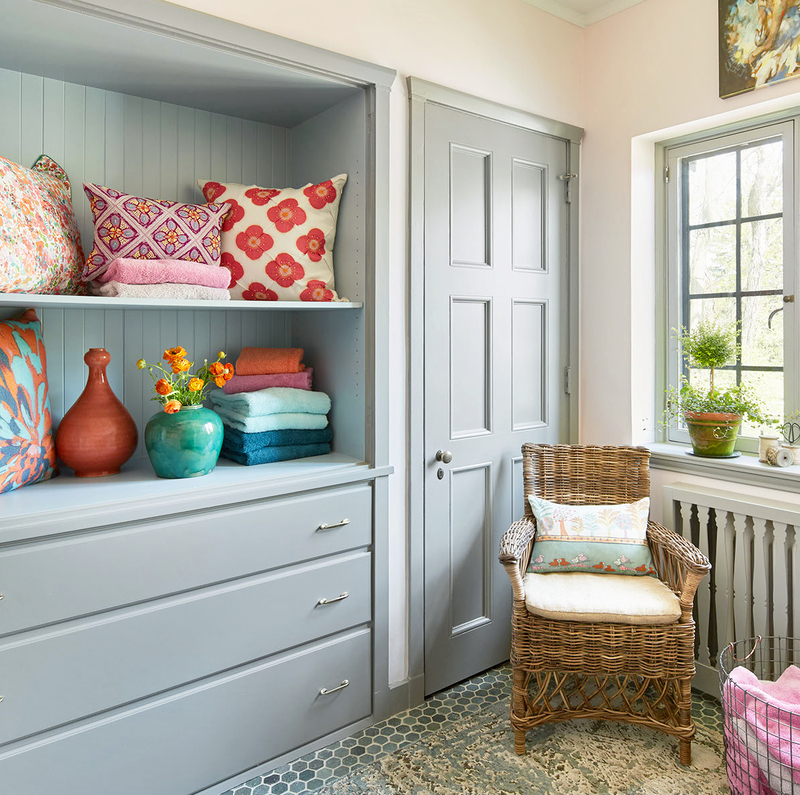 We asked Meg Carroll of Bedside Manor and interior designers Mary Shea and Beth Boyd of Wiley Designs for the necessary ingredients of a great guest room. Start with the biggest bed that will fit the room. Shea recommends a queen as the ideal fit for most guest scenarios (a couple, tall guest, adult plus child, etc.). Carroll finds a queen bed more inviting and homey than two twins. Washability is number one, and there are a myriad of beautiful options that are equally stylish and low maintenance. You don’t want your guest worrying about a smudge or who slept there before. Layering is also key, as it offers guests the most flexibility and personalized comfort. Start with fine-quality sheets, a blanket and coverlet, and top with a duvet folded at the foot of the bed. Don’t drown the bed in pillows or skimp on comfort. Carroll recommends stacking two sleeping pillows against the headboard, and fronting them with a pair of Euro-sized shams and maybe one decorative pillow. The Euros are ideal for bedtime reading, but they’re easily put aside when it’s time to sleep. If you want to provide a non-allergen pillow or two, stack them cased and ready to go on a closet shelf. Carroll adds that finer quality down bedding is repeatedly washed to reduce allergens, and it’s truly the most comfortable option. Guests come with stuff, so give them plenty of functional space to put it. Set out a luggage rack or bench to hold a suitcase or duffel. 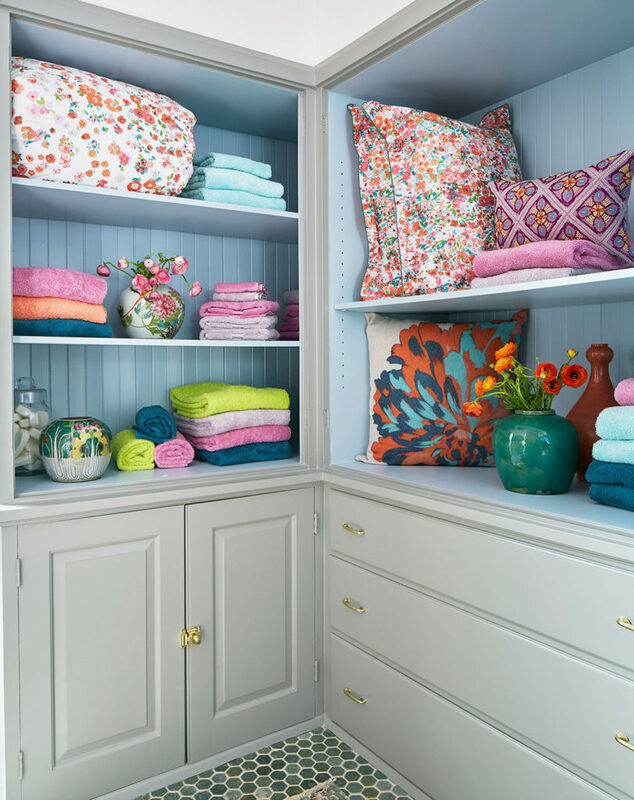 Leave the closet ajar so your guest can see hangers and perhaps an open shelf or two to stack clothing. Consider upgrading to wooden or padded hangers. If you have to choose between a desk or nightstand, go with the nightstand, and make sure it’s got plenty of room for a reading lamp, clock and easy plug-in access to charge a phone. Shea warns that tables smaller than 15 square inches challenge efficiency. A reading chair is always welcome with a cozy throw for napping. If you’ve got room for an additional flat, open space (such as a lean console or dresser), fit it in. Guests will appreciate the extra room. A diffuser or candle adds a homey touch, as long as the scent isn’t too heavy or pungent. 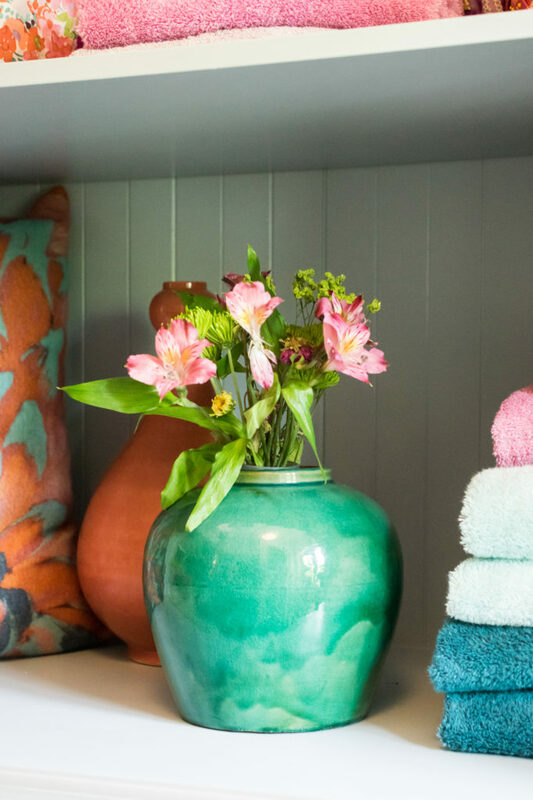 Don’t forget a pitcher and glass for water and a welcoming vase of fresh flowers. The more clutter you can put away the better. Your guest still needs space to spread out. Think about keeping a set of bedding dedicated solely to guests and pull it out when your guest arrives. Your son probably loves all those NHL logos, but your guest may not. 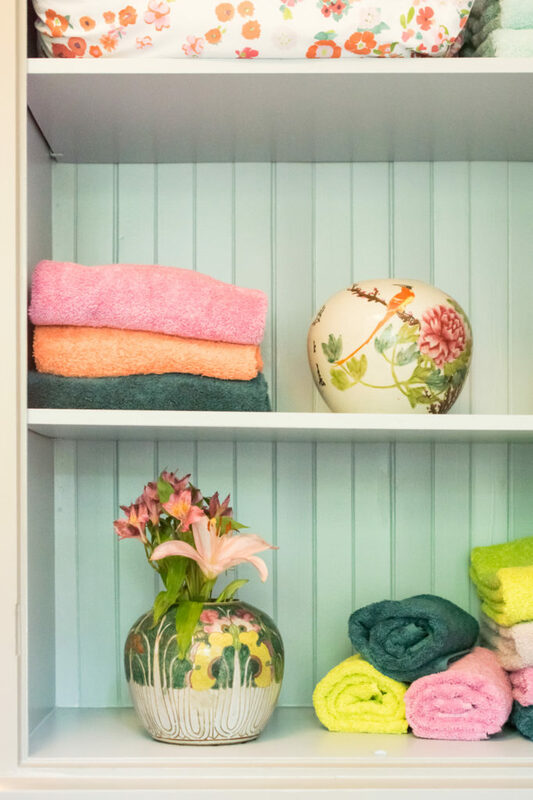 Always lay out a clean set of towels on the bed so your guest doesn’t have to hunt them down, particularly if she has to use the same bath as the kids. Try your best to provide a guest with the same amenities (fresh flowers, good lighting, open outlets, hanging space), even if she’s in your toddler’s room. If you’re lucky enough to have a spare, dedicated guest bedroom, go ahead and take a few design risks. Introduce a more dramatic pattern or color scheme than you would in a room slept in daily; but Shea stresses the importance of creating a soothing, comfortable place. Remember, your guests want to feel like they’re staying in a home—not a hotel. Add warmth, but don’t get too personal. A few family photos are OK, but don’t overwhelm the room. A guest room should feel like an extension of your home, not a disjointed, barren space. If your guest wanted to stay at the W Hotel, they would have. The designer showhouse. It’s more than an occasion to showcase a designer’s talents. It’s a chance for a designer to explore a creative concept and introduce dramatic gestures and fantastic elements. In some cases, it’s the opportunity to take a particularly unique or challenging space and make it something special. This year’s Infant Welfare Society of Chicago’s Lake Forest Showhouse & Gardens, hosted in an historic lakeside Italian villa designed by David Adler, presented its fair share of design opportunities and challenges. Creating the first impression in a David Adler estate is no small task. Up to the challenge, Lichten Craig paired stunning antiques with contemporary accents for a modern take on a traditional room. A black and white Atelier Fornasetti paper, with a pewter-leafed vaulted ceiling, become neutral backdrops to a striking Jules Leleu emerald lacquered sideboard flanked by ebonized Biedermeier chairs. The original dark terrazzo floor reflects the sparkle of a precious rock crystal star chandelier, carved from a single block of Brazilian quartz. Paul Rufus masters the thoroughfare, with a salon-style installation of family photos, graphic prints, plein air pastels by Susan Henshaw and formal landscapes, set against decoratively painted soft stripes, faux moldings and trim. Handpainted with seven Farrow & Ball whites, unique stripes of varying sequence and width unite a disparate series of once narrow, cavernous hallways and stairs to create a delightful gallery worthy of lingering. A traditional space with serious purpose doesn’t have to be dull. Lawrence Boeder enlivens the home office with fresh green grasscloth grounded by a graphic black and white carpet. Traditional furniture in various wood finishes is paired with vibrant, modern art that challenges predictability. The mudroom got an upgrade. Moving past beadboard and cubbies, Melissa Edelman of Antiquaire introduces sophistication and drama, with off-black walls the backdrop to gilded antique woods, ornate gold leaf, and the weathered patina of iron and bronze. Durable indoor/outdoor textiles in rich patterns and textures add style while standing up to the ins and outs of a busy family. An antique French Industrial mail rack offers shelves enough for shoes, hats, keys and more, topped by three gilded starburst mirrors. Spare change becomes a creative floor treatment, as hundreds of pennies are grouted as tiles for a custom copper floor.